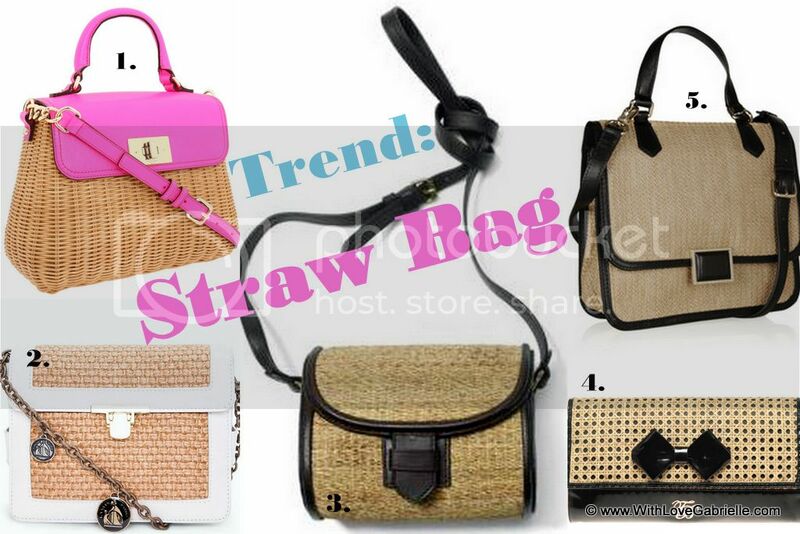 Hello Darlings, Seen on the runways of Dolce & Gabbana and Emilio Pucci S/S 2012, the straw bag has made a come back. Not in a beach-going kind of way, but rather with modern shape and luxe finishes. Made popular in the seventies by Jane Birkin , this carryall picnic perfect darling is once again back on the radar! At first I found the trend a bit provincial, but the more I see it the more fascinated I become. I don't particularly love Birkin's way of carrying the basket, but I do find the au naturel look somewhat sweet and carefree. There is a part of me that can imagine the perfect combination of a sweet dress paired with simple ballerinas, colorful sunnies and a straw bag. On another side, I find it perfect for a Saturday morning at the market or weekend getaway in the country! What do you think? It turns out that Birkin herself prefers this easy version to the fancy Hermès namesake. Admitting that she only owns one Birkin that is decorated with stickers from being obviously "a bloody Birkin bag". In fact, in 1981 Birkin was seated on a flight next Hermès chief executive, Jean-Lous Dumas, when the contents of her straw bag spilled in the overhead compartment. Birkin told Dumas that she could not find a leather purse that she liked. Following the incident, Dumas created a black supple leather bag for her in 1984. The Birkin may be famous, but it was a straw bag that was her first choice.